The high performance Electric Hoist & Motorized Trolley Kit is engineered for heavy duty industrial service, and is available in two ton and three ton capacities. 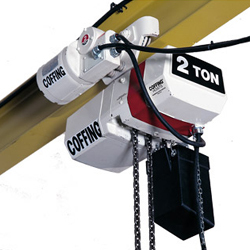 The kit includes the electric chain hoist with motorized trolley, chain container, and six button pendant. Lead-Acid Batteries Most Recycled Item in the U.S.